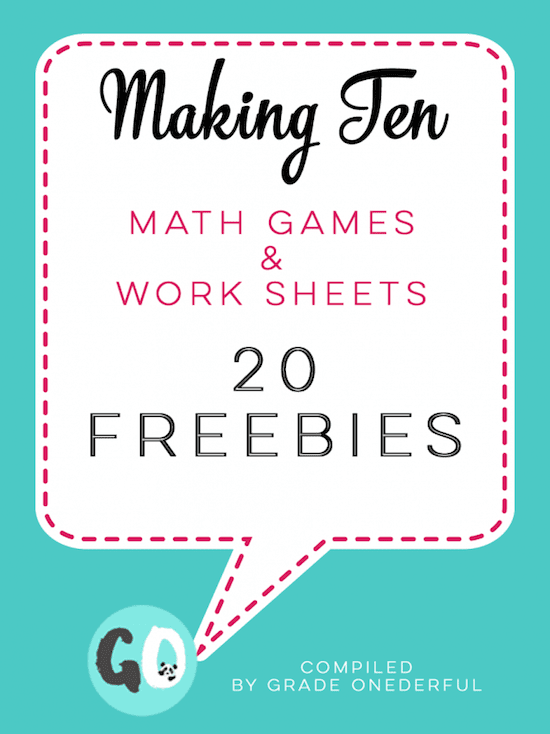 Making ten is tricky for some of my kids, but with all the fabulous activities I've gathered up, it's sure to become a little easier and a lot more fun! At the end of the post there are a whole bunch of freebies I rounded up for you! Before we started thinking about making ten, we worked for a few days on decomposing a variety of numbers from 5 to 9. On Friday we worked on tens. 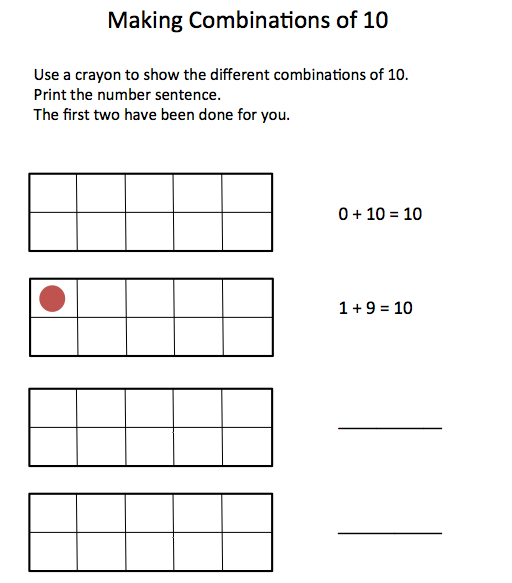 I gave pairs of students this sheet and 10 counters, and then challenged them to find all the combinations of 10. Click on the image to grab (5 to 10). We then met back at the carpet and shared their number sentences. Some kids thought 8+2 was exactly the same as 2+8. That discussion led to a new addition strategy which they unanimously decided to name "Flip Flops". Some students remembered that when we were looking for combinations of 9, there were 10 number sentences. So when I asked them how many for 10, they were able to figure out there would be 11! We talked a bit about how else we could know we had all the combinations. 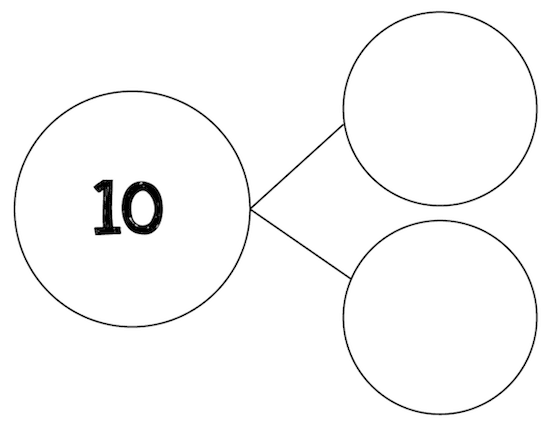 This was tricky for most of them so eventually I showed them that we could start with 0 + 10, 1 + 9 and work our way up in order. Tomorrow I'm going to have them work on this sheet below to try and reinforce the concepts we learned today. Just click the image to grab the two sheets. I think the sheet is pretty self-explanatory. We do the first two or three together so that everyone is sure what to do. I remind the kids that it's much easier to go in order. While I was making up these sheets I decided to check Teachers Pay Teachers for some more freebies. So here you go, 18 more for a total of 20. Enjoy! Sample Super Stars: Ten Frame Playing Cards that could be used for combinations of 10. If you have a free "Making Ten" product, be sure to let me know in the comments and I'll add you to this list. Great post! Thanks for sharing my freebie! Thanks for the great freebie, Donna!